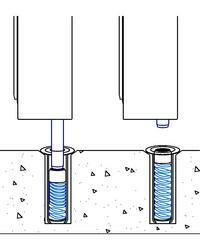 To ensure proper functioning of the sliding grille or closure good site preparation is key. 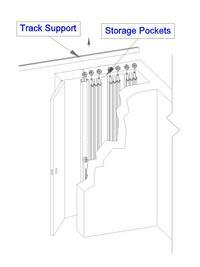 Dynaflair sliding products will give many years of trouble-free operation in a well prepared opening. 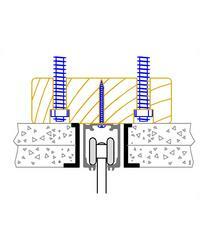 The first, and most important, site preparation step is to build a strong and level track support header . It is important to provide proper clearance for the unobstructed operation of the grille along the track and into the pocket. Our storage pockets guidelines will help you plan an enclosure for the folded up grille, giving adequate room for grille installation and maintenance. The final preparation step for a sliding product, after the floor tile or other floor finish is complete, is to drill holes for any floor sockets needed for the bottom bolts of the locking methods.